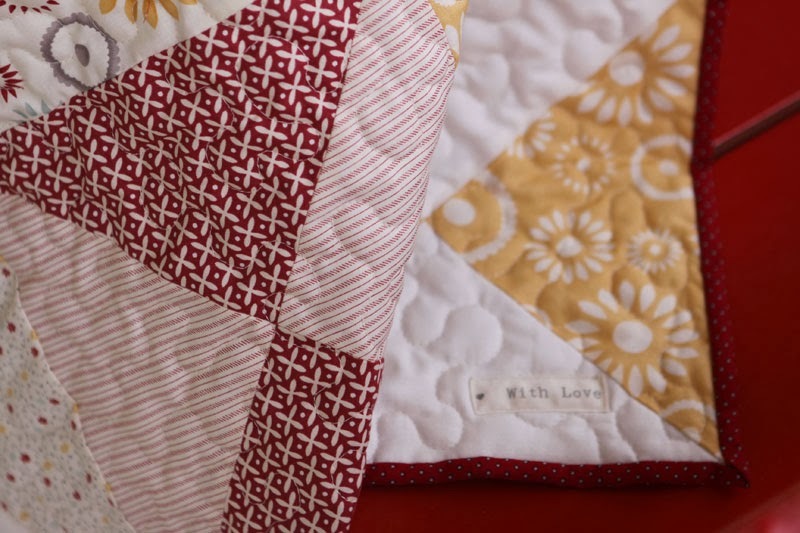 I always enjoy to give the last touch to my quilts by hand sewing the back border. It is not very quick, but I like this part of the work, I find it relaxing. 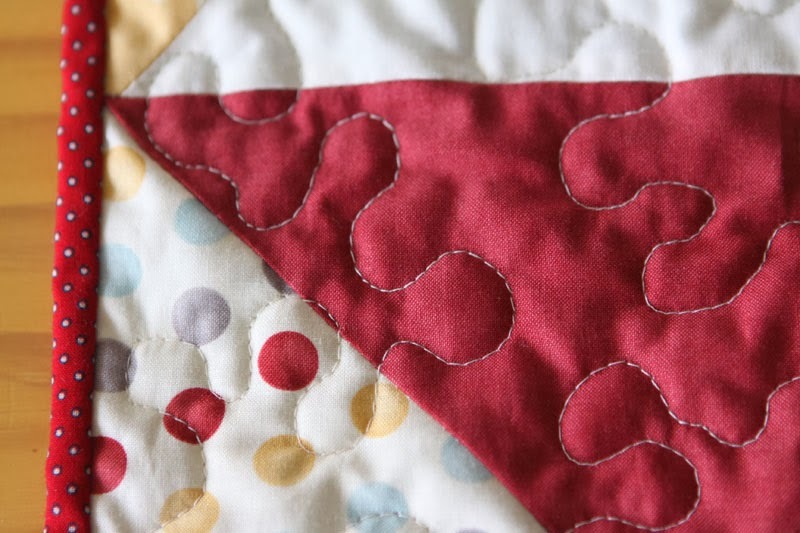 I use an applique needle and a thread that should always be the same color as the border (here red). I make a slipped stitch all along. 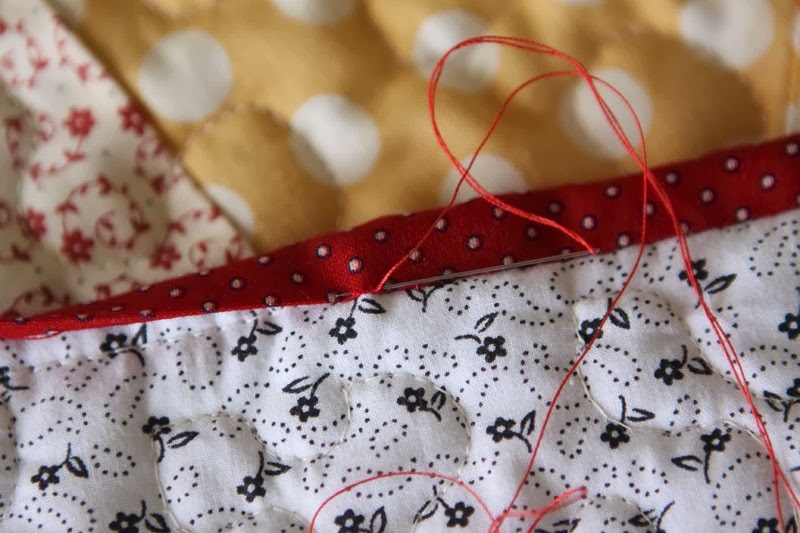 (I slip the thread inside the border). The result is absolutely invisible! Thank you for the tutorial Christine!